I had the privilege of attending the launch of the Crizal® Prevencia™ with Essilor’s new endorser, Tom Rodriguez. Two things made me curious enough to attend – first, that Tom was going to be there, hehehe, and second, I was curious to see what the fuss was all about and what was so special about Crizal Prevencia. From the time I was in high school I have been wearing glasses. It wasn’t until a few years ago that I’ve stopped doing so because, miraculously, my eyesight just improved to the point where I thought I didn’t need them. While it is true that I may no longer need prescription glasses (for now) it doesn’t mean that I have no need for glasses at all, especially if those glasses are fitted with Crizal Prevencia lenses. Of all the things listed above the one I wanted to find out about was the last item – protection from harmful blue light emitted by gadgets and screens. Nowadays I seem to find myself looking at or in front of a screen – phone, tablet, laptop, the TV. According to Essilor and Tom these devices emit a blue light that is harmful to our eyes. How harmful is this blue light? I had no idea and I frankly, didn’t feel any harm coming to my eyes. Here are my discoveries about Crizal Prevencia lenses. As soon as I received my glasses (non-prescription) I decided to try wearing them as I drove home. In my mind I was thinking, “these lenses are supposed to be glare proof, right? So let’s test how they stand up to glare.” Oftentimes I avoid driving at night because the glare from the taillights of cars in front of me and headlights from oncoming cars always gave me eyestrain and a headache. Upon wearing these glasses I immediately noticed a difference which I tested by occasionally lifting up and putting them back on to compare. The lights didn’t hurt my eyes so much and when I got home … no headache! The next day I tried again, this time I drove out at noon and wore the glasses instead of shades. Surprisingly, they worked better than shades! I usually wear shades to block the glare that hits my eyes and with these glasses I was protected from glare and UV rays. In most cases the dark tint of should do the trick but these glasses had no tint so it had me thinking again, “clear lenses that are able to protect my eyes from UV rays and glare? This is just revolutionary!” Since then I’ve been using these glasses every time I drive. And now that I am catching up with grades I use the glasses all day as I stare at my computer screen. I can now last longer and my eyes don’t tire so easily anymore. Yey! I am awed, flabbergasted, amazed! Where has Crizal Prevencia been all my life! 😀 One thing is for sure, once I get my eyes checked and if the optometrist/opthalmologist tells me I need glasses I will definitely have my frames fitted with Crizal Prevencia. Let’s see what Tom Rodriguez – actor, model, and latest endorser of Crizal Prevencia – has to say about it. Below is the press release for these amazing lenses. Everyone can’t help but fall in love with celebrated actor and certified heartthrob, Tom Rodriguez. With his tantalizing brown eyes, he sure can captivate anyone. But for Tom, his eyes are not only assets for good looks. Unknown to many, the top actor is also a prolific digital artist. As such, Tom gives due importance to eye protection as he teams up with Essilor, the world leader in corrective ophthalmic lenses to take care of their eyes against harmful blue light with Crizal® Prevencia™. 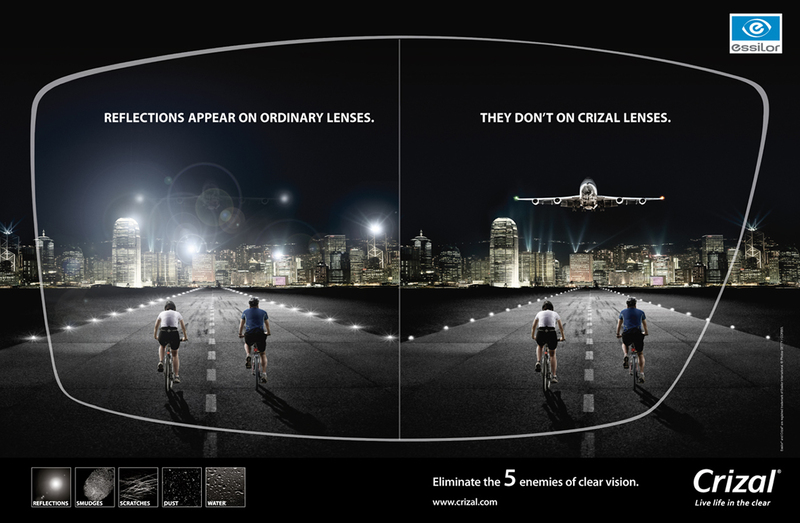 Crizal® Prevencia™ is the only clear lens in the market to effectively filter harmful blue light from the sun and digital devices while maximizing essential blue light for healthier vision. Tom’s ardent passion in digital art is evident in many of his Instagram posts. Many of his artworks comprise of creatures from Philippine folklore, plus superheroes and characters from anime, games and comics. He sketches and sculpts in between takes during drama filming or photo shoots. He is also an aspiring app designer. With all these taking up his non-acting time, Tom can’t help but be exposed to harmful blue light and he admits that this has affected his vision. “Belonging to a technically-savvy generation and with my love of creating digital art, I cannot do without my phone and digital devices. What’s more, my active lifestyle also keeps me under the sun a lot,” shares the 29-year old actor.